We’d love your help. Let us know what’s wrong with this preview of Introduction to Zen Koans by James Ishmael Ford. “This marvelous book opens the treasure house of Zen and yet, happily, does not dispel its mystery. James Ford, an excellent storyteller and longtime Zen practitioner, presents a detailed and beautiful description of An indispensable guide to koans, teaching the reader about the importance of lineage, the practice of “just sitting,” and koan practice as paths to awakening. To ask other readers questions about Introduction to Zen Koans, please sign up. Always a delight to read a new book by Roshi James Ford. He brings a unique perspective to Zen studies, a scholarly approach that combines the best of both ancient Buddhist texts plus a wide range of contemporary Buddhist scholars and teachers. In addition, he has a penchant for clarifying Buddhist traditions and practices to help make sure that Buddhism continues to thrive in the US, in ways that can help individuals but also maintain the rigor of traditional Buddhism practice. This book is a bi Always a delight to read a new book by Roshi James Ford. He brings a unique perspective to Zen studies, a scholarly approach that combines the best of both ancient Buddhist texts plus a wide range of contemporary Buddhist scholars and teachers. In addition, he has a penchant for clarifying Buddhist traditions and practices to help make sure that Buddhism continues to thrive in the US, in ways that can help individuals but also maintain the rigor of traditional Buddhism practice. This book is a bit of a misnomer in that it is really about more than koans. The book has 27 chapters and it really isn't until chapter 10 that he delves into koans. Early chapters focus on the life of Buddha and explaining the basics of Zen Buddhist practice, such as breathing, posture, and the history of Buddhism. Much of this information will be old hat to Buddhist practitioners but even when reviewing this material, Roshi Ford's long-time practice and scholarly bent make it so that these sections reward careful attention so that beginners and long-time practitioners would get something out of it. 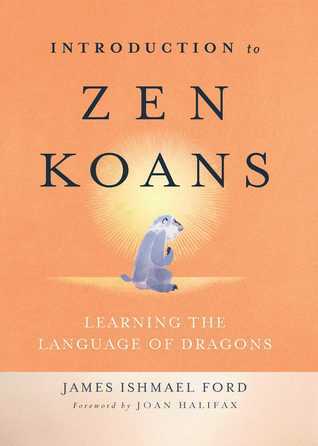 Starting around chapter 10, Roshi Ford digs into koan studies. I have read a fair amount of books about koan study. This one covers some of the initial history of koans and the place of koans within the general practice life. He reviews some basic koans, including the Mu koan, though unlike other books on koans, he doesn't dig into particular koans into much depth, focusing more on the general nature of koan practice. Throughout the book, Roshi Ford weaves his own experiences in the dharma, though he does this in a more modest way than other Zen books (other authors seem to concentrate on their own personal experience as a lens to help others understand practice). For him, I feel like his own personal practice and experience are less important than the wide scope and tradition of Zen history. Important to share his own experiences, but more important to weave into the narrative the teachings of others.